While peace and justice stalls, South Sudan’s internally displaced are finding their own solutions. Juba, South Sudan – Squatting on a thin black mattress, Nyawech Both Nien rubs her scarred arm, still bruised after a mass brawl over water, the most basic need inside this camp for internally displaced people (IDPs). “I’d put three jerry cans to keep my place in the line, but the water came very late that night,” said the 28-year-old, one of the 40,000 residents at the Protection of Civilians Camp (POC3) on the edge of South Sudan’s riverside capital, Juba. “When my turn came, I put my cans but other women started arguing with me, asking why I had more cans than other people,” she added. The next day, Nien was summoned to appear before the “bench court” – a lower court composed of seven judges drawn from each section of the camp and three observers from a local legal NGO – to account for her actions. With South Sudan’s state and customary institutions of justice damaged by years of civil war, the citizens of the world’s youngest nation have little recourse – and some, like the POC3 residents, have created their own, alternative court system to resolve their problems. 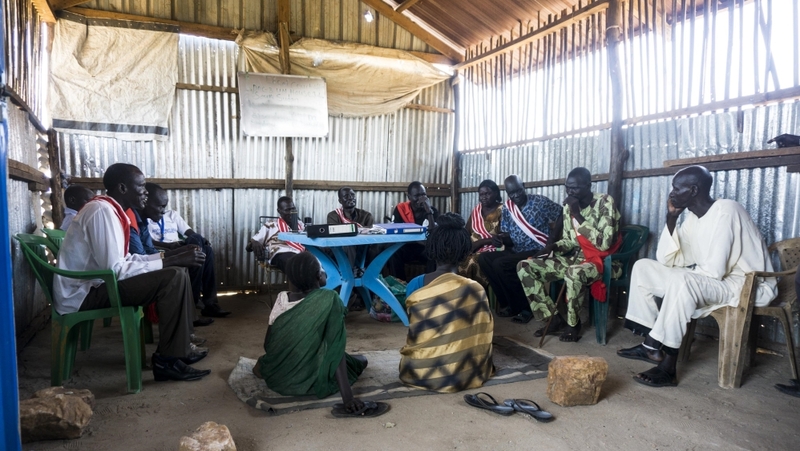 “I tried to explain to the judges I was fighting for myself and my family,” said Nien, a mother of two who lives under one roof with 25 of her relatives who fled the frequent raids on their village in Bor, Jonglei state. Established in 2016, the camp’s lower court deals with commonplace disputes, such as fights over water, domestic violence and petty theft. The judges are all IDPs who live in the POC3. They are nominated by the camp’s other residents and serve as unpaid volunteers for a one-year term, which can be extended if the community decides to do so. 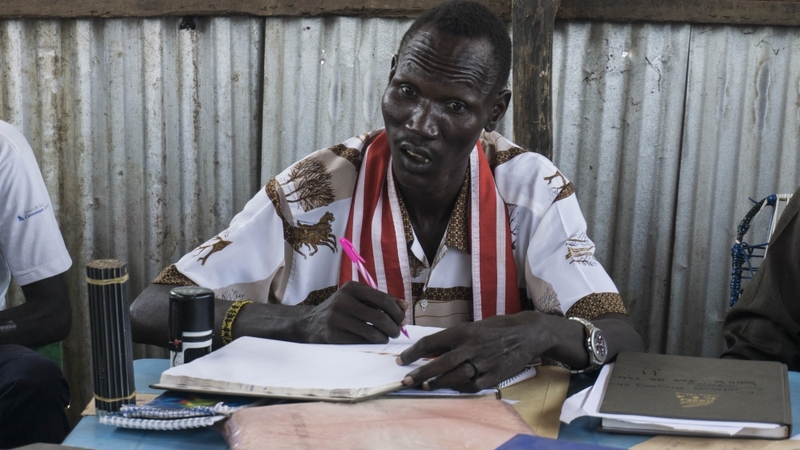 Most of the judges are people who, before their displacement, served as community leaders or worked as legal practitioners in different areas across South Sudan. In some cases, when the court’s rulings or penalties are defied, the accused is recalled to court. If the judgement is ignored, the case is referred to POC3’s High Court and United Nations mission in South Sudan (UNMISS), which established the camp, for further disciplinary action. “Without this court, we’d have very many conflicts among ourselves, but because of this court we are controlling ourselves,” he told Al Jazeera after presiding over a case of alleged theft of money between the children of two families. “Whenever they [people] come here, we can talk and find an option to resolve the conflict or the issue that may lead a community to fight,” he said. The high court is composed of seven judges – also POC3 residents – who adjudicate over matters referred by the lower court or more serious crimes such as assault and sexual violence which are then referred by UNMISS to South Sudan’s national police and justice system. On several occasions, the South Sudanese government has called for the closure of the POC3, alleging that high levels of crime and lawlessness in the camp are the primary cause of Juba’s instability. But the camp’s residents have resisted the move. Francesca Mold, UNMISS communications officer, said the mission worked with community leaders to ensure order throughout South Sudan’s POC sites. “It is not good for us to fetch water at night, there are many things that can happen to women and I wish the UNMISS could help us more,” said Nien. Ongoing regional mediation attempts to bring an end to South Sudan’s ruinous civil war have called for the establishment of a stronger justice system as a condition for peace but, thus far, progress has been slow. Earlier this year, Nyadir became the first female judge nominated by the community to the camp’s High Court. “Women are also the basis of solving the problems in this community [POC3] and if they were included more it might be better,” she told Al Jazeera. 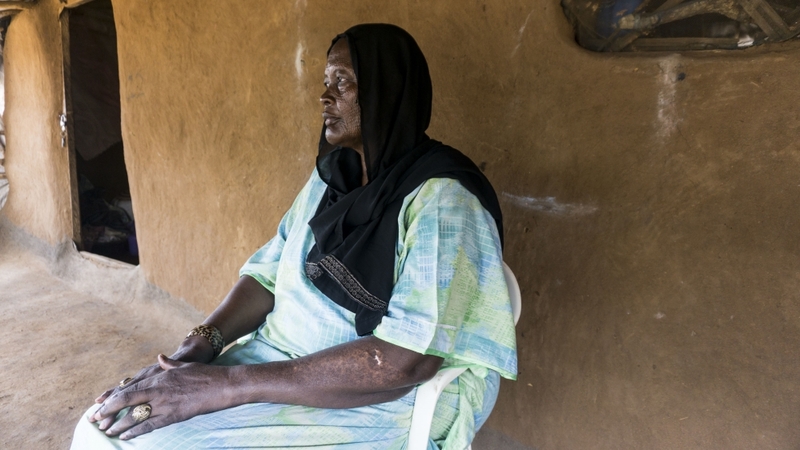 “In South Sudan, the system has collapsed and women are the ones who are suffering because of this – they are in forced situations and living with violence because the concept of justice is not there. “We want peace and we want justice, but the problem is the people who are making the problem are also in power. If justice can be applied, then the international community must help us in building the structures that we have like the special court,” she added. “It will help us in the healing of the country,” Nyadir told Al Jazeera. Until then, South Sudan’s ordinary citizens may still have to rely on their own everyday solutions to hold their own to account for some time to come. This report was made possible through a reporting fellowship from the International Women’s Media Foundation (IWMF). Nyasha Kadandara is a Zimbabwean-born journalist and documentary filmmaker based in Nairobi, Kenya. Her work covers a broad spectrum from breaking news events such as the ouster of former president… Read More. Nyasha Kadandara This Easter, people in South Sudan are praying for peace.